With TRON: Legacy set to invade theaters in just six short weeks, Walt Disney held Tron Night this evening at movie theaters around the globe. Clearly inspired by what Fox did with Avatar last year, tonight’s showcase featured around twenty three minutes from the sequel to Tron and after watching the footage tonight at Universal Citywalk in IMAX 3D, I think Disney has created something very special with the sequel to Tron. While I have no idea what the general public will think about this movie, there is no denying the visuals are amazing and I think it could be a big hit for the studio. 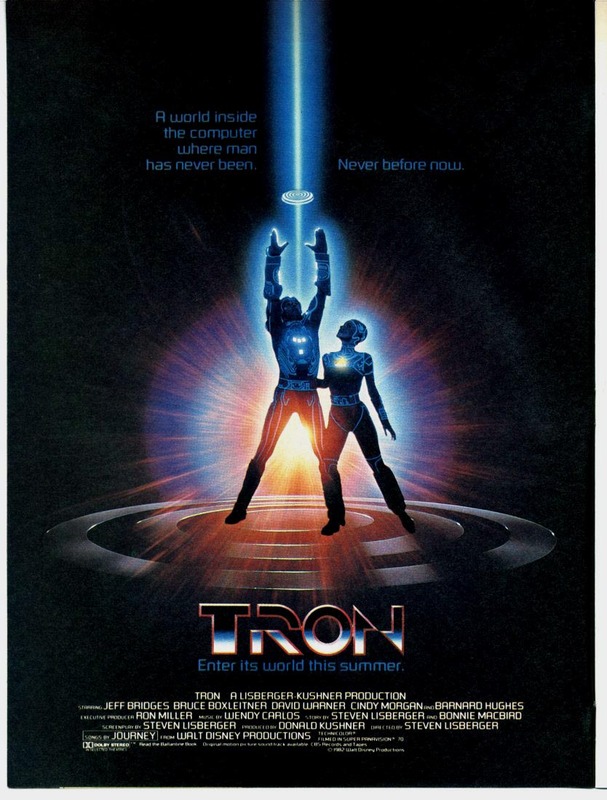 As a lifelong fan of Tron, this is one of those films I never thought I’d see. I couldn’t be more excited for December 17th. Now before you go thinking that Lisberger pulled a George Lucas and made huge changes to Tron…you can relax. He told me that it’s a lot of subtle changes throughout the film. He went on to say that after remastering the movie, Tron feels closer to what he imagined it would feel like in terms of the color balance. He also says there is consistency that wasn’t there before and he got to play with the glow. Meaning, he tweaked things that couldn’t be done back in the early 80’s and I’m sure most of us won’t notice what he did. Again, he didn’t pull a Lucas. Of course the next big question is when will the Tron Blu-ray get released? Lisberger says it’s up to Disney, but if I were a betting man, I’d say the studio will release Tron on Blu-ray at the same time TRON: Legacy gets released. But that’s just a guess. And with that…here’s Tron director Steve Lisberger. You can watch exactly he said. If you’re interested in the Blu-ray and remastering Tron, start watching around 3:10. Look for a lot more on TRON: Legacy very soon. For more with Lisberger, here’s the on set interview I did last year. 4:10 – What exactly did he do when he remastered it? Says no big changes but a lot of subtle changes throughout. Says it feels closer to what he imagined it would feel like in terms of the color balance. Also says there is consistency that wasn’t there and he got to play with the glow! 6:00 – What original designs from Tron made it into Tron: Legacy. He talks about the lightcycles.